Leadership at the Ensemble Theatre of Cincinnati (ETC) announced a renewed commitment to its $6.5 million Next Stage Capital Campaign on Monday. The announcement was coordinated with the debut of a new website and brand design intended to reaffirm the institution’s position within Over-the-Rhine. The ETC says that the new website and brand design are an evolution of the theatre’s brand, and were developed in coordination with Cincinnati-based brand management firm LPK. New brand design, developed by LPK, for the Ensemble Theatre of Cincinnati. The non-profit theatre organization had been largely quiet since first announcing a multi-million capital campaign in 2008. The money, ETC officials say, will be used to expand lobby space, upgrade electrical and HVAC equipment, and add new seats and other amenities for patrons. All renovation plans have been developed with GBBN Architects and Messer Construction. “We are thrilled that with so many improvements in the Over-the-Rhine Gateway Quarter over just the past few years, along with the renovation of Washington Park, there is so much renewed energy in the area and it makes sense to plan for ETC’s next chapter,” explained ETC’s communications and development manager, Jocelyn Meyer. To date, ETC officials say they have raised more than one million dollars towards the campaign thanks in large part to a $1.2 million grant from the Ohio Cultural Facilities Commission. 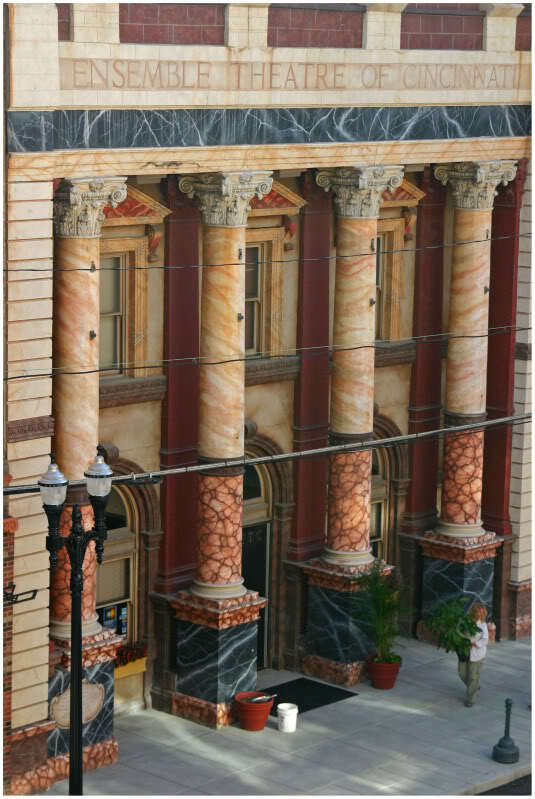 Prior to raising the rest of the money necessary to embark on its major renovations, ETC officials will repaint the building façade at 1127 Vine Street and add new banners to help distinguish the theatre along the busy Vine Street corridor.